Love and Hate; War and Peace; Life and Death. Bill Shankly once famously announced that football was more important than a matter of life and death. Those less interested purely see it as twenty-two people running after a ball on a pitch. The reality is that the true importance of football probably lies somewhere between those two extremes, but the power of football as a tool for good cannot be underestimated in the current international climate. Football, whether directly or indirectly, has started wars and has ended wars. The so-called ‘Soccer War’ in 1969, whilst not solely as a result of football, was sparked off by a match between Honduras and El Salvador, and tragically led to the death of over 3,000 people. 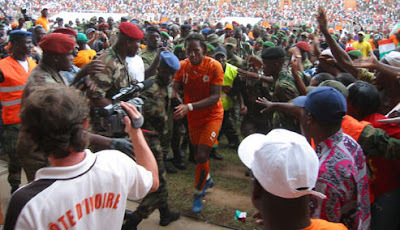 On the flip side, the Cote d’Ivoire is a wonderful example of the healing power of football. 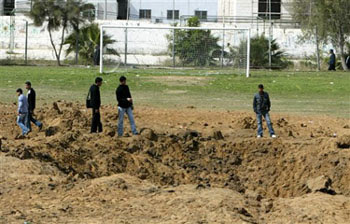 A temporary ceasefire was declared during the 2006 World Cup to focus on the nation’s football team. Twelve months later, Didier Drogba made the suggestion that an international match between his side and Madagascar should be played in Bouaké, the capital of the rebel-held region. It was the first time since the outbreak of civil war that government troops had been in the rebel capital and the first time in five years that the two sides had come face-to-face in a non-hostile setting. This match is seen as a major catalyst in the permanent ceasefire that marked the end of the civil war. The original plan, devised by SOAS student Jasper Kain, was to take the university’s football team to Iran to try and connect with the average Iranian person and fight against the prevailing view of the Iranians as ‘a dangerous and opposite society of extremists and fundamentalists.’ Whilst this original tour was derailed by visa issues, a tour was carried out, travelling around Turkey, Syria and Lebanon playing matches against local teams from all different ethnicities, religions and tribes. Twelve months later, a second tour saw the group visiting West Africa. As well as playing matches against local teams, the team now expanded their remit to run a series of intercultural and educational workshops for local children and worked closely with various charitable and grassroots developmental projects in the region. 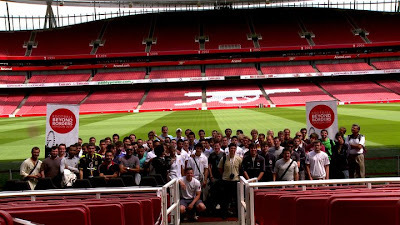 2011 has seen a further expanded programme of events for the Football Beyond Borders team. 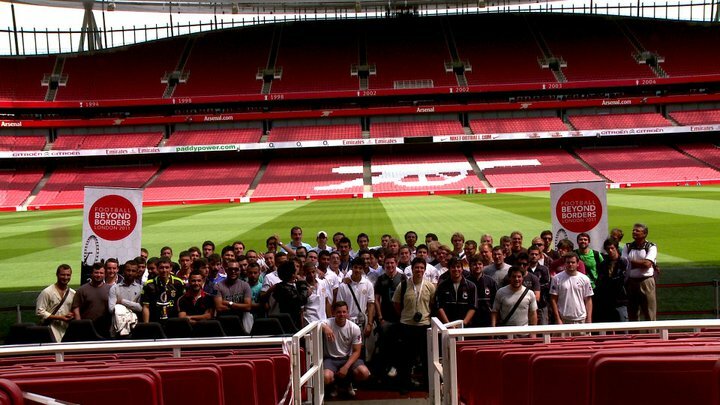 A London event that has just finished saw universities from Cairo, Turkey, Uruguay and Finland sending teams to participate in a football tournament. 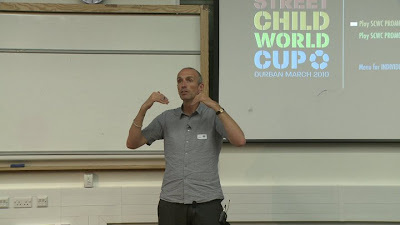 However, the football was almost a sideshow as the key aim of the project was to bring together students, and potential future leaders, from a range of ethnic and religious groups, to engage in dialogue and debate. Later this month, the Football Beyond Borders team will return to the Middle East and North Africa, visiting Palestine, Egypt and Jordan. Projects aimed at bringing together Coptic and Muslim orphans, via the medium of football, are planned in Egypt, whilst in Palestine, they are hoping that the power of sport will be able to transcend cultural boundaries and promote peaceful, but meaningful, interaction amongst the young Palestinian people. SOAS itself brings together a huge range of students from different countries, religions and ethnic groups, perhaps more so than any other university in the UK. I put forward the question of what they were hoping to achieve from the trip and what they would say to people who may claim that it was simply a football tour – that there could be better ways to connect with the local population. It is clear from speaking with some of the participants and researching the project that the football itself is merely a tool to help bring people together to provide the opportunity for meaningful dialogue. However, describing it as merely a tool does not do justice to its importance. Whilst the popularity of cricket in India means that it is now rivalling football as the most played sport, it does not have anywhere near the global reach that football does. Some of football’s most recognisable personalities are among the most recognisable on the planet. An interesting study several years ago demonstrated that more people worldwide recognised David Beckham and Cristiano Ronaldo than recognised George Bush, supposedly the most powerful man on the planet. From the slums of Brazil and India to the modern cities of Dubai and Qatar, from the streets of London and Paris to the villages of sub-Saharan Africa, names such as Manchester United and Barcelona, David Beckham and Cristiano Ronaldo are familiar to the majority. This simply shows the true global nature of football. The recent London event ended in an all-English final, perhaps not the ideal match to emphasise the cultural diversity of the event. However, the forums and seminars that accompanied the event were a major success in bringing all the players together to discuss pertinent issues with groups that they may otherwise have never engaged with.